It is hard to believe but it was one year ago this week - this Thursday, September 10 - that Mason left on his mission. I wasn't sure this day would ever come - but we have all survived and we are so proud of him and how well he is doing!! He is keeping super busy in Dublin - here is the e-mail we got today!! Sorry I'm emailing later (he e-mailed about 4 hours later than usual) the reason why is because I needed to get my GARDA card which is a year long visa for the Republic of Ireland. Elder Barton called us last night and picked us up so we spent the night at his flat then we got up at 5 a.m. this morning, and we got a few more elders who needed to get their cards. They dropped me and two others off at the GARDA station at 6:30 and after waiting forever we got our cards at 11:20 so it was a lot of waiting. Then we all went out to lunch at Burger King which is better over here than in the states. So I'll just give you the highlights from this week. Tuesday we worked out with Marcin; other than that we really didn't do much that I remember. Wednesday we had all Ireland which was really cool. 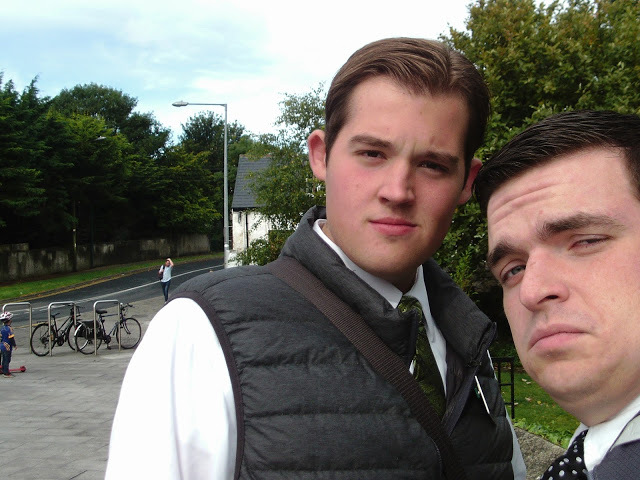 All the missionaries in Ireland got together for a conference so that took up the whole day. 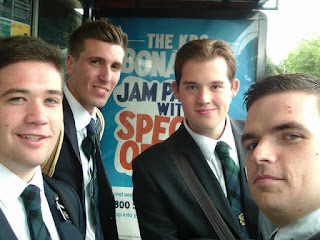 Thursday I went on exchanges with a greeny missionary in Bray, we taught a born-again who brought his guitar and just wanted to sing Christian Rock the whole time. But we were able to get a lesson going when the branch president showed up. It wasn't the best lesson cause he kinda wanted to bash with us. They said they will give him one more chance to see if they will keep meeting with him. 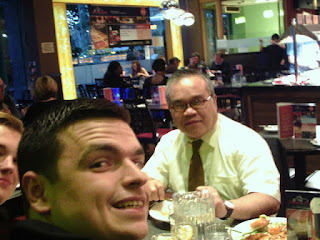 Friday we exchanged back then did weekly planing; and had dinner with Reynaldo and that's pretty much all I remember. Saturday we had a lesson with Daniel, the one who is into metaphysics. We watched Prophet of the Restoration with him and did a bit about church history so that was pretty good. But he likes going into the deep stuff so we are thinking next time we see him we will go over the book of Abraham and Moses. Then we had a lesson with a guy named Ozzy who is pretty cool. A member from the states came with us named Eric who is super cool. The lesson went really well, we went over the plan of salvation and he had a lot of questions so we were only able to cover about a third of it. The sisters had a baptism that night so we went to that. It was really good but took a few tries to get it right, his arm wasn't going all the way down, but it all worked out. Then Reynaldo took us to an all you can eat Chinese place which was pretty good. Syd would have liked it cause the chicken was very good! Sunday after church we had dinner with Reynaldo and the sisters. Then we went and taught Marcin and his kids, before the zone leaders picked us up. So that was our crazy week. The weeks seem to be going by faster and faster its crazy. Love and miss you. Mason didn't send any pictures today, but I sent a Facebook message to his companion's mom and when she replied she said she had some pictures and she sent them to us - so here they are! Great post! Now, your personalized Priesthood Line of Authority is beautifully laminated featuring the classic portrait of Jesus Christ by the renowned artist Greg Olsen.